The Living collection from Laufen features minimalist designs and defines ceramic in cubic form. Clear lines characterise this bathroom design with its strong aesthetic appeal. 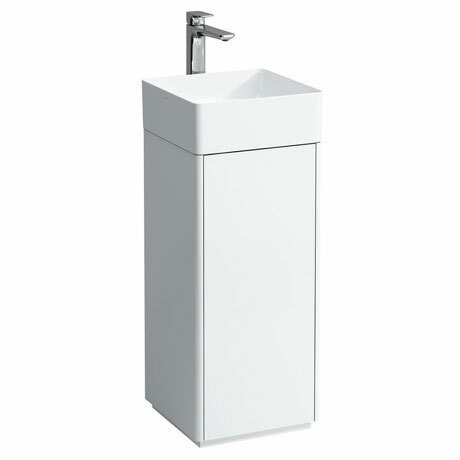 Designed to co-ordinate with the Living sanitaryware, this attractive vanity unit and basin features a single push and pull door which comes in a left or right hand hinge opening. The unit also features an adjustable internal glass shelf and a tap bank at the rear. All Laufen sanitaryware is guaranteed for 5 years and furniture 2 years.